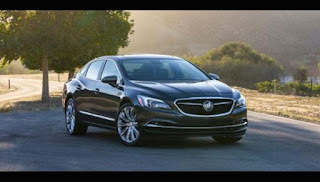 The Buick Super Bowl 50 Ad will be the first ever Superbowl commercial for the GM owned car brand. Buick is on a role and a Super Bowl ad is the right way to celebrate the third consecutive global sales record for Buick. In mid-December, annual sales surpassed last year’s record 1,170,115 vehicles driven by record sales in China and record crossover deliveries in the United States. Yearend sales for Buick are expected to surpass 1.2 million vehicles. The Buick Super Bowl 50 commercial is according to AutomotiveNews featuring the Buick Cascada convertible that will arrive at dealers in the coming weeks. Buick did not offer a convertible in 25 years. The Buick Cascada 2+2 configuration offers room for four adults. Its expressive driving experience is rooted in a rigid body structure, Buick’s HiPer Strut front suspension and responsive Watts Z-link suspension in the rear, along with a 200-horsepower (149 kW) turbocharged engine. And when it comes to dropping the top, it lowers in 17 seconds at speeds up to 31 mph. When it’s up, thermal and acoustic insulation contribute to driving comfort. In a statement Buick commented on its Superbowl ad plans with: "Super Bowl 50 represents a perfect opportunity for us to showcase our newest vehicles to a global audience of millions of consumers." There are no further details available yet about the Buick Super Bowl 50 Ad. With Buick we track now in 6 car brands that are advertising during the Big Game in our Super Bowl 50 Ad Chart. The list of Super Bowl 50 Car commercials so far includes Acura, Honda, Hyundai, Mini, Kia and Buick. We expect more car brands to come forward with their Super Bowl 50 ad plans after the NAIAS 2016 taking place January 11-24, 2016.